The honeybee is one of the most known bee species. It is a key pillar in our modern day society. It provides us with most of our crops pollination and has become economically irreplacable. The famous quote from Einstein just let us remember how dependent we really are of the honey bee. In recent media there is a lot of attention for the honeybee. In recent day the honeybee has it tough. It has to deal with diseases, insecticides, parasites and nature loss. Besides the bad news there are still a lot of wonders that surround the bee. What is mostly not known is that the honeybee is a very special social insect. A hive contains one Queenbee, tens of thousands of worker bees and a few thousand drones. The worker bees can differ in count from 12000 in the winter up to 45000 in the summer. Drones are only available in the spring and summer, for when a new queen needs propagation. In the hive there can be up till 4000 drones in the summer. To avoid inbred the drones fly to different hives to propagate with different queens. What has intrigued me is the social aspect of the honey bee. The hive must be seen as a collective, I see it as every hive has a spirit of its own. A solo queen can’t survive without her worker bees and the worker bees cannot survive without the queen bee. The role of the queen bee is to lay eggs to produce offspring for the hive and the worker bees are managing the hive. The drones are lazy and only participate in eating the honey and waiting for any new queen to propagate. 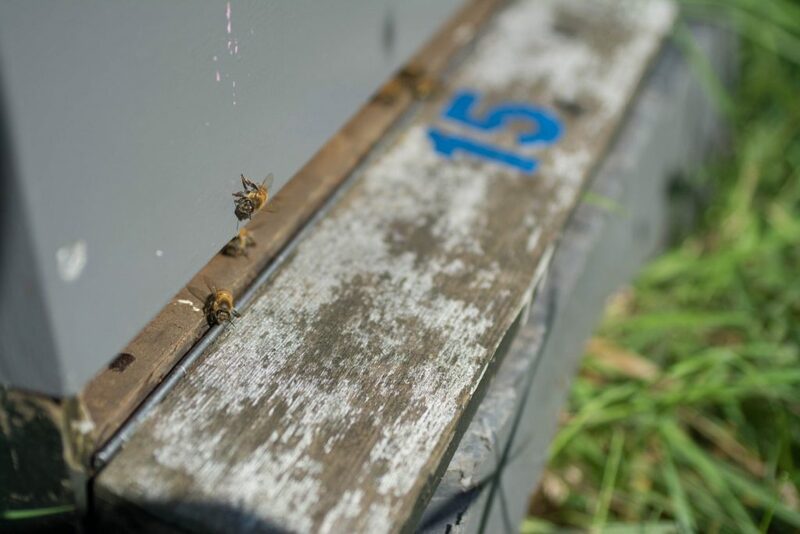 Nonetheless Scientists speculate often if the drone has another different function within the hive, other than the propagation of new queen bees. For example does drones contribute to regulating the temperature of the hive, this is still not entirely clear. For the most people the honey bee is always first associated with honey. We all know honey from the store or the beekeeper. Honey is made from the nectar of flowers. The honeybees add additional enzymes and because the hive has a constant temperature of 35 degrees C (This specific temperature is for raising young bees) the water in the nectar vaporizes, and the nectar thickens and becomes honey. Because the honeybee survives the winter as a colony, the bees must make honey. But sometimes there is a surplus which the beekeeper can harvest and keep for himself or can sell it to people.